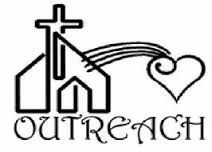 Outreach ministries at St. John’s Cathedral provide a wide variety of opportunity for parishioners to give of their Time, Talent or Treasure. Support those ministries that fit your abilities—physically, spiritually and financially. Pray about where God is leading you to serve. Love at the Core extends well beyond the Cathedral. Learn how you can work through St. John's to spread love to the community. Regional Outreach ministries that the cathedral supports are described here. Love at the Core extends to all in the world who thirst for the message of Jesus Christ.